Questions about Kichler Lighting 42270NI? 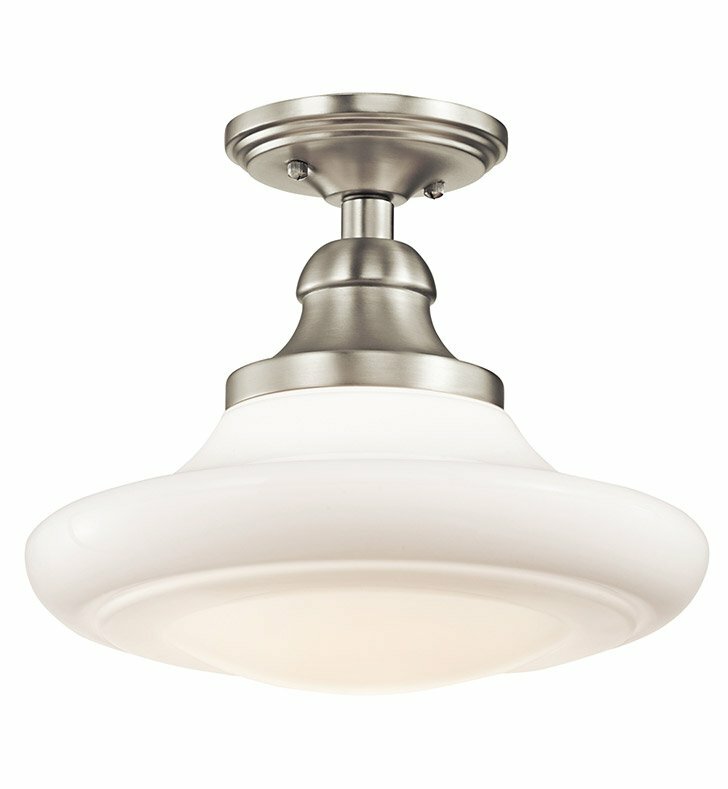 The soft curves, Cased Opal Glass detailing and clean, Brushed Nickel finish of this convertible 1 light pendant or semi flush ceiling fixture from the Keller collection will add a tasteful, understated accent to any space in your home. Dimensions: H 8 3/4" x W 12"